LP records at Rhythm House. Every city has its own rhythm, melody and harmony. Undoubtedly Mumbai’s streets buzz with an erratic rhythm of its own and are noisy, but somehow Mumbai’kars manage to face the urban ‘music’ and eventually achieve harmony at the end of the day! In all the stress and strain of Mumbai’s cacophony one craves for mindfulness through various art forms. Music as an art form can act as an immediate rescue if heard tastefully. The world music industry is in its transition phase where music is perceived more as a tool for entertainment rather than a pure art form. The city of Mumbai is not an exception for this phenomenon. In these transiting times, Rhythm House, a music shop in Mumbai, till its existence, had been heralding the cause of appreciating music as an art form right since the pre-independence era of India. But due to changing times it recently was shut down for good. It was located in the heart of Mumbai’s most buzzing art and cultural hub named Kala Ghoda. Over the years the music shop had informally gained institutional status, as it has been promoting good music in all formats. Rhythm House was established in 1945 by the Curmally family. It was a family run business which survived the winds of change that kept ‘rocking’ the music industry from time to time, until this year when the owners decided to end the business for good. Initially the shop sold LP vinyl records. 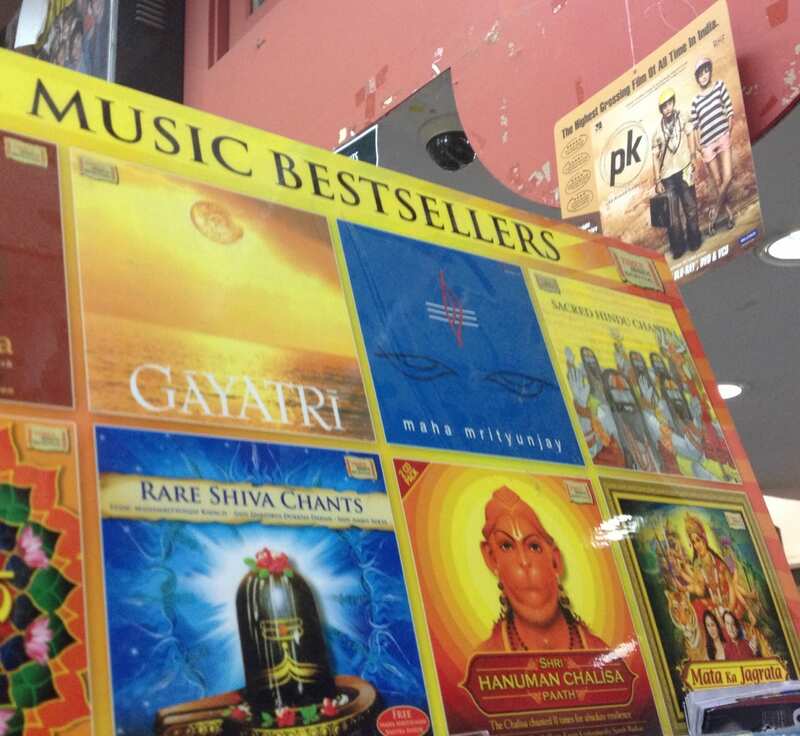 Both Western and Indian Classical music genre were most popular then. 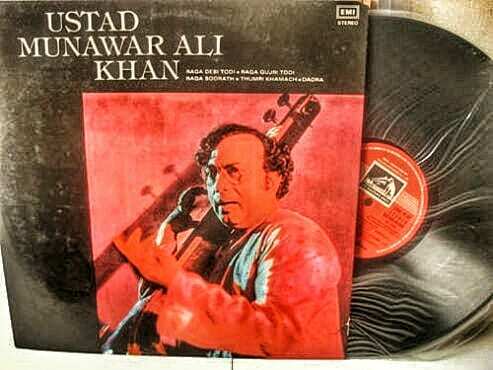 Besides spinning Indian film music, the LP records rocked the Mumbaikars on the beats of Elvis Presley & Beatles. HMV (His Master’s Voice) LP records were most popularly sold out till almost the late 1980’s. When magnetic tapes (Cassettes) were introduced to the music world, Rhythm House quickly adapted to the changing trends in audio technology. Besides hearing local Bollywood film songs, Mumbai’kars swayed on the music of Western hit albums of Madonna, Michael Jackson and Phil Collins! Music lovers confidently flocked Rhythm House to pick up their favourite music album on cassettes. By then, as part of their diversification policy, Rhythm House also started selling VHS tapes of Bollywood and Hollywood films. During the 1990s the store racks glittered with shiny music and film CDs which by then had aggressively entered the music market. After the IT revolution in mid-1990s, the music industry rapidly took roots on the internet. 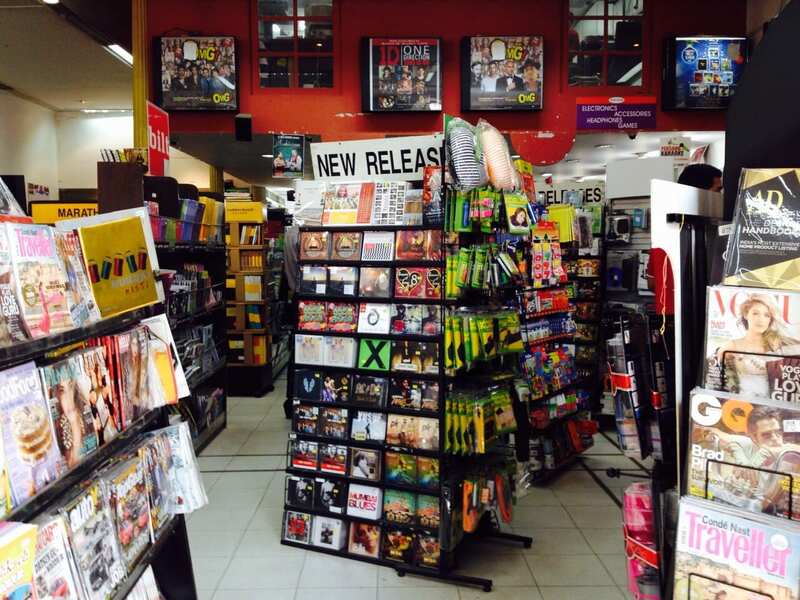 Music stores like Rhythm House could feel the pinch of the shift. Most of their competitors had to shut shop during late 2000s, as free internet music downloads and music piracy ruled the roost. Inspite of the adversities, Rhythm House stood on its grounds of selling good music in physical form till last. The store was one of its kind that sold LP records and Denon LP record player at a price which the masses too could afford! Dedicated music fans who loved the nostalgia of experiencing the sound texture of an LP record were proud patrons of the store. Iconic exteriors of Rhythm House. 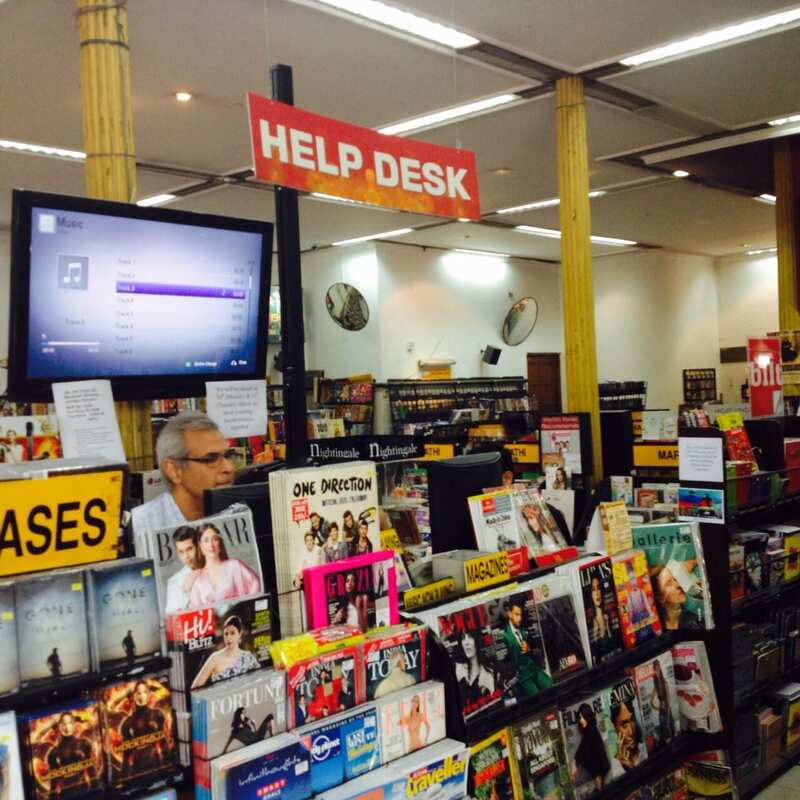 Abiding to the changing times, few years back the store had hosted a kiosk that was pre-loaded with songs, which could be legally downloaded on one’s mobile phone, pen drive or on CDs. By introducing such facilities, the store aimed towards promoting ethical music download, which would just not benefit the artist but also stage an indirect fight against piracy, which has got rampant in recent years. The store’s dedicated staff members use to offer excellent customer service by helping the customer choose the right product. 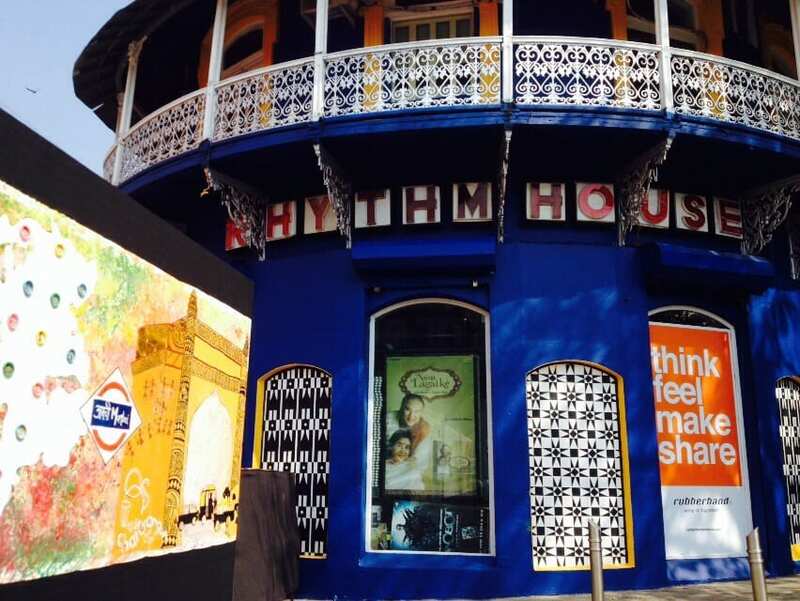 Besides music loving Mumbaikars, tourists from across the world would visit Rhythm House to buy music titles. Indian Classical Music and Bollywood music were their hot favourite picks. Few years ago, after the store launched itself online, music lovers as far from Japan, U.K, U.S and South Africa use to order music albums and film CDs through e-commerce facilities. 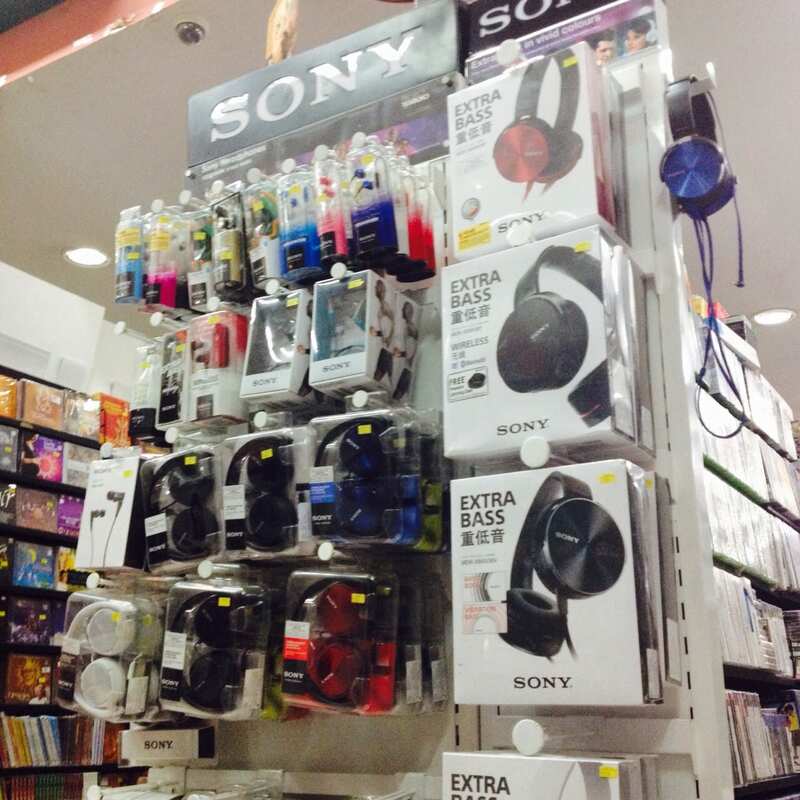 The store use to sell lifestyle accessories, blu ray CDs, audio books and music systems. Many tourists use to flock to buy gift memorabilia too. The store also had a dedicated corner for ticket bookings of cultural shows across Mumbai. It was a supplementary feature of the place which indirectly has been promoting the cultural scene of Mumbai city. Last year when I had met, Mr. Mehmood Curmally, the store’s Managing Director, he had informed me about the most unique feature that the store once possessed. Long back, they had built ‘music booths’, cabin like structures, in which demo LP records were played for customers to hear songs and accordingly could decide if they wanted to purchase them. The concept was so popular in those days that along with the common man, famous celebrities from Bollywood circles would spend hours in those booths treating their ears with melodies from the East and the West. 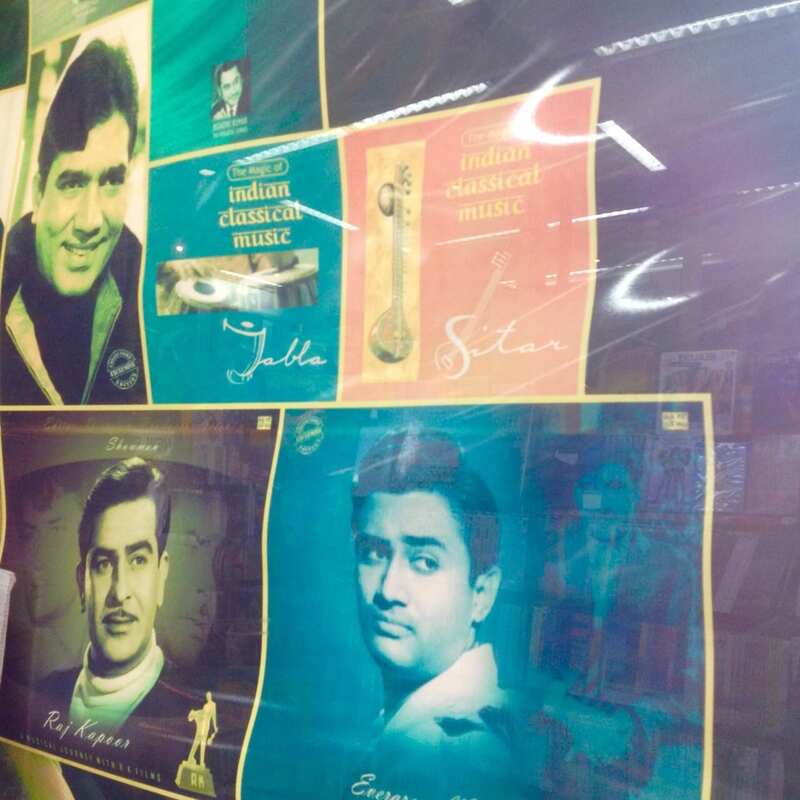 Bollywood music directors Shankar Jaikishan, Laxmikant Pyarelal and others frequented the store just to hear the new age music which the Curmally family passionately delivered to their patrons. As a regular customer, I have personal memories attached to the store. My first visit to Rhythm House was during my teenage. Since then I became a fan of the store. I remember, music of different genres used to be played on speakers as one physically would browse through various music albums that would be stacked on the racks. 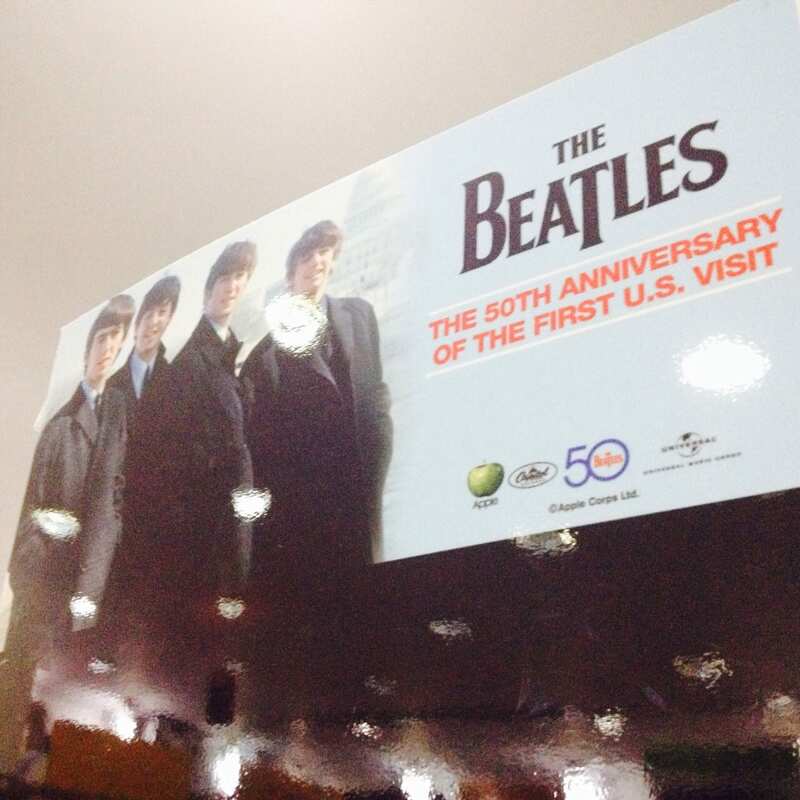 Beatles music once rocked Rhythm House. In times where music is freely downloaded from the internet, thus raising piracy issues, Rhythm House, till its existence, stood firm on urging people to buy music (either in physical or downloadable formats) so that the artists and sound technicians feel rewarded and stayed motivated to create more music for both classes and masses to rejuvenate after a hard day of work. Bravo! *Special thanks to Mr. Mehmood Curumally and the staff of Rhythm House, Adv. Geeta Sonawane. Dedicated staff of Rhythm House. Mumbai Memoir – ‘Dream Merchants’ of Mumbai! Mumbai Memoir 102- Inspirations from the Indian Warrior Queen- Lakshmibai of Jhansi!